It's always interesting to see what other people have in their bags, don't you agree? I mean, I surely do want to know what my favorite celeb or K-pop star carry when they go around. I wish every celeb could show us what they have in their expensive bags at least once. The bag that I featured in this video is my new Teddy Blake Handbag Caty Silver 12" in Dark Beige color. It is one of my newest bags and I am in love with it. I love the sleek design with simple yet sophisticated details! Though, it is quite a weight for everyday use, I prefer to keep it for special occasions or more formal events. 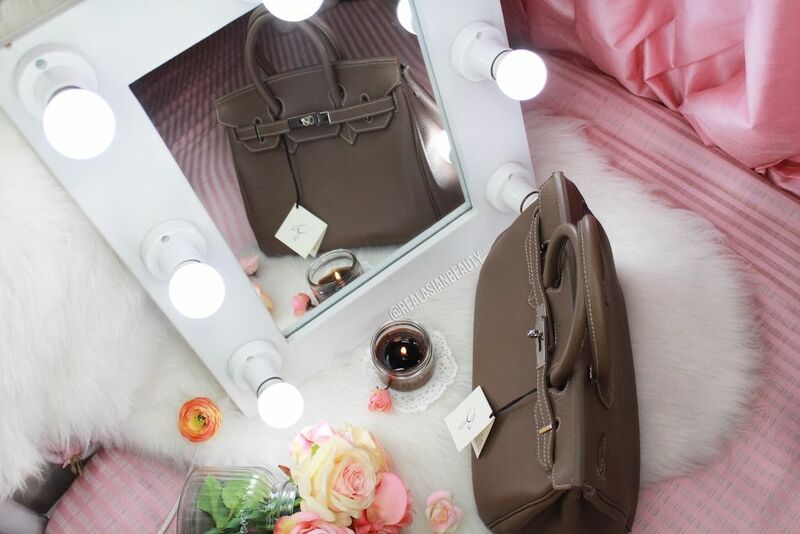 As for me, I have the basic stuff like phone, camera, wallet and makeup retouch bag! 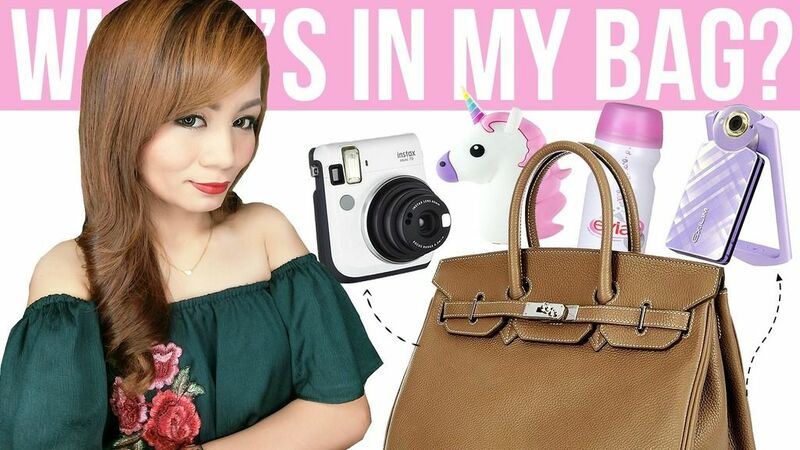 Well, I may have few other stuff inside so be sure to watch my WHAT'S IN MY BAG video! Did you like how I did the video? I grew tired of the usual "sit-down" what's in my bag video so I decided to give it a twist. It took me 2 days to film all the clips and 12 straight hours to edit it plus 1 hour to put it up on YouTube. Oh, a helpful hand of my boyfriend also made the video possible. I hope you like it! How about the bag that I showed? It's a branded Teddy Blake Handbag that is impressively much more affordable than other branded leather bags. You almost get the same look, same feel yet less-empty pocket! You can get a chance to buy your own Teddy Blake handbag at the best price if you go to their website HERE. Mine is the Caty Silver 12" Dark Beige. But I am also eyeing the Caty Saffiano 12" in Taupe, Caty Silver 12" in Grey and the Caty Silver 10" in Soft Pink. I wish I could get them, too! Maybe soon, who knows? If you wish to purchase your own Teddy Blake bag, be sure to use my CODE TBKristine20 to get $20 discount!!! If you want an extra, I will give it to you! Here is an Expectation Versus Reality photo of one of my flatlays. 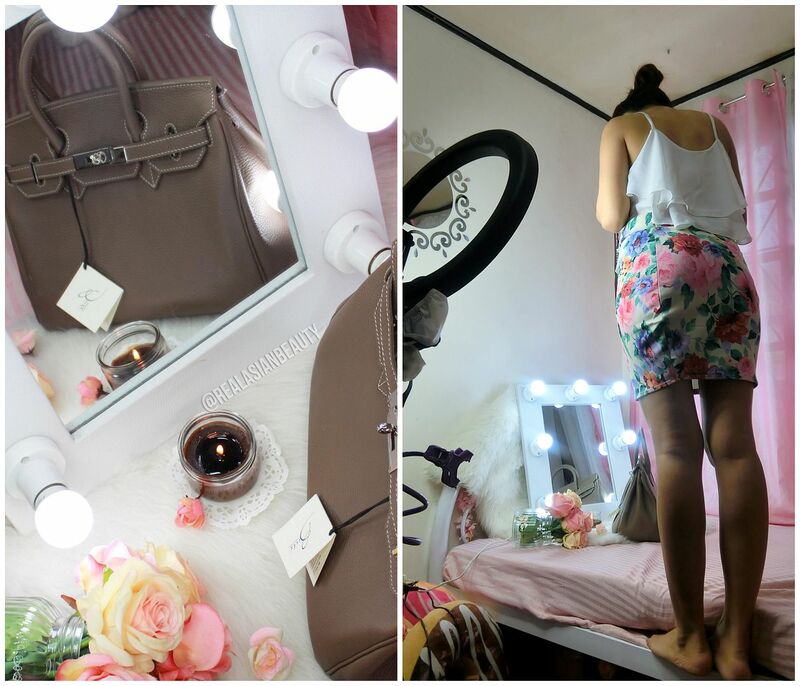 Here's how bloggers really do their artsy flatlays. It's not all glamorous and sophisticated, you know.